Dr. Wagner is chairman for the Tissue Engineering and Regenerative Medicine International Society (TERMIS) Americas and past-president of the American Society for Artificial Internal Organs (ASAIO). He is also the Founding Editor and Editor-in-Chief of one of the leading biomaterials journals, Acta Biomaterialia, and serves on the editorial boards of several journals in the biomedical engineering and regenerative medicine fields. 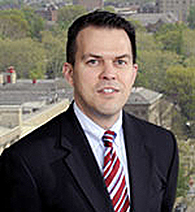 Dr. Wagner’s innovations in the fields of cardiovascular devices and tissue engineering have been recognized by awards such as the Society for Biomaterials Clemson Award for Applied Research, the TERMIS Senior Scientist Award, selection to the “Scientific American 50,” the Chancellor’s Distinguished Research Award, and University of Pittsburgh Innovator Awards in 2007, 2008, 2009, 2010, and 2014 for licensing activity associated with his patents and patent filings. Dr. Wagner holds 17 issued patents and an additional 25 patent filings in the field of cardiovascular biomaterials, medical devices, imaging, and tissue engineering. Five of his patents have been licensed by the University Office of Technology Management. Together with collaborator Dr. David Vorp and two former students, Dr. Wagner co-founded a company, Neograft Technologies, that has raised over $23M in funding to date. The company recently initiated clinical trials in Europe around an invention that creates a temporary elastic support system around veins prior to their use as arterial grafts in coronary artery bypass surgery. With the research group that he leads, Dr. Wagner has invented a series of new biomedical materials focused on biodegradable, elastic polymers that can be used to slow the dilatation of the heart following heart attack as well as in other applications, such as creating cardiac valves. Under Dr. Wagner’s direction, the McGowan Institute is a leader in the commercialization of medical device and regenerative medicine technologies and has made an international impact on healthcare with its development of circulatory assist devices (including the current most commonly implanted ventricular assist device), pulmonary assist devices, and extracellular matrix based materials for regenerative repair and healing. He has played an important role in the facilitation and nurturing of academic innovation and the transfer of this technology to positively impact society. The McGowan Institute has created 26 start-up companies that have attracted over $500M in external investment. The McGowan Institute is also noteworthy for its numerous programs to aid its faculty in rapidly refining their innovation efforts by providing ready access to an executive-in-residence program for competitive landscape evaluation and business model development. This program, which has been supported by philanthropy and the University of Pittsburgh Innovation Institute has refined numerous nascent technologies and helped to refine business plans and technical approaches. The Institute has also been well ahead of its peers by its early integration of regulatory expertise into product development efforts. This acumen has aided the Institute as it has attracted major research and technology development grants from the Department of Defense in creating solutions for warfighter injuries, and in its partnering with industrial partners in the medical device and pharmaceutical space. Through the whole month of January you will receive 25% off your trichrome stains, when you mention this ad. Contact Lori at the McGowan Core Histology Lab and ask about our staining specials by email or call 412-624-5265. As always, you will receive the highest quality histology in the quickest turn-around time. Military personnel are substantially burdened with traumatic bone injury to the extremities, but no ideal therapy is available to regenerate large bone volumes in compromised wounds. These wounds are sub-optimal for regeneration because the vascular damage and immune response provoke oxygen deficiency and inflammation which impair bone growth and drive formation of fibrous tissue. These components are assembled in two forms depending on the nature of the bone injury: an injectable hydrogel and an implantable hydrogel infused scaffold. The team expects that an injectable device (components 1-3) will be used by first responders to stabilize bone fragments in comminuted fractures, prevent fibrous tissue ingrowth, and rapidly initiate regeneration. They expect that an implantable device (all components) will be used in the operating theater to promote bone formation and minimize non-union when conventional grafts and bone fillers are contraindicated. They will evaluate bone regeneration over time in two bone injury models in swine, and will test the injectable device in a simulated comminuted fractures of the fibula while the implantable device in large fibular bone defects. Also, they will evaluate bone formation and strength, revascularization and reinnervation, and the local and host immune responses. Approximately 20% of injured combat personnel suffer extremity bone fracture and loss, of which 80% are open compromised wounds with significant tissue loss post-debridement. The team’s device will minimize the severe morbidity and the treatment cost for wounded military personnel, and will improve their quality of life and return to service. Ultimately, this work will translate to several clinical therapies in the form of pharmacological interventions and therapeutic devices to promote skeletal healing. These will decrease clinical involvedness and impact individual’s lives by speeding skeletal healing, diminishing non-union and tissue fibrosis incidence, and reducing multi-surgery procedures. This work will have a similar strong impact for non-military applications as well. 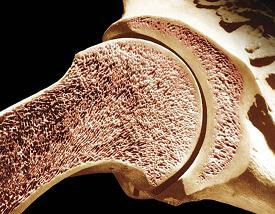 Illustration: Longitudinal section of the humerus (upper arm bone). Dr. Don Fawcett—Visuals Unlimited/Getty Images. Although cerebral aneurysms affect a substantial portion of the adult population, the risk of treatment including open brain surgery often outweighs the risks associated with rupture. With increasing numbers of unruptured aneurysms detected using noninvasive imaging techniques, there is an urgent need for a reliable method to distinguish aneurysms vulnerable to impending rupture from those that are presently robust and can be safely monitored. An international research team led by the University of Pittsburgh Swanson School of Engineering recently received a grant from the National Institutes of Health (NIH) to improve risk assessment and treatment of this devastating disease. Principal investigator of the 5-year, $2,950,622 grant, “Improving cerebral aneurysm risk assessment through understanding wall vulnerability and failure modes,” is McGowan Institute for Regenerative Medicine affiliated faculty member Anne M. Robertson, PhD, the William Kepler Whiteford Professor of Engineering at the Swanson School. McGowan Institute affiliated faculty member Simon Watkins, PhD, Distinguished Professor of Cell Biology and Director of Pitt’s Center for Biological Imaging, is a co-investigator on the study. The R01 grant is funded through the NIH National Institute of Neurological Disorders and Stroke. 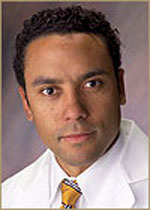 To support their work, Dr. Robertson and a multi-disciplinary team of world leaders in aneurysm research from Pitt, Allegheny General Hospital in Pittsburgh, George Mason University in Virginia, University of Illinois at Chicago, and Helsinki University Central Hospital and Kuopio University Hospital in Finland, will analyze brain tissue donated from patients with cerebral aneurysms. Using state-of-the-art facilities for biomechanical analysis and bioimaging, the investigators will specifically look at how and why some patients are naturally able to maintain a healthy aneurysm wall while the walls in other patients weaken, leaving the vulnerable to rupture. They will use computational mechanics to explore the possible multiple mechanisms by which hemodynamics alters the wall and study the mechanisms of structural failure. 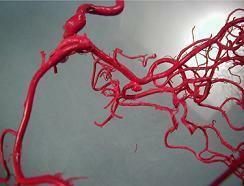 Illustration: Cast of human brain vessels showing cerebral aneurysm in center, taken by Charles Kerber, MD. The United States Department of Defense has granted $2.5 million in funds for a 4-year research collaboration between the University of Pittsburgh Swanson School of Engineering and UPMC Division of Vascular Surgery. The research team will develop a removable, collapsible, and biocompatible trauma stent to prevent internal bleeding from the aorta. The “Rescue Stent” will have both military and civilian applications and could greatly reduce fatalities caused by gunshot wounds, stabbings, and other related torso injuries. McGowan Institute for Regenerative Medicine faculty member Bryan Tillman, MD, PhD, assistant professor of vascular surgery at Pitt’s School of Medicine, will serve as principal investigator and provide clinical insight and lead the testing. Joining Dr. Tillman on the study are three engineering professors from Pitt’s Swanson School: Youngjae Chun, PhD, Sung Kwon Cho, PhD, and William Clark, PhD. Parthasarathy Thirumala, MD, co-director of the Center of Clinical Neurophysiology at UPMC, will also assist the study as a co-investigator to ensure the Rescue Stent avoids the paralysis associated with other current approaches for hemorrhage control. McGowan Institute for Regenerative Medicine affiliated faculty member Dr. Chun, assistant professor in the Departments of Industrial Engineering and Bioengineering, will be responsible for designing, modeling, and fabricating the stent. He will investigate various design methods and advanced manufacturing processes to create functional rescue stents, including geometric/stress analyses, micro laser welding, thermal treatment, mechanical-chemical joining processes, and biocompatible surface treatments. Dr. Cho, associate professor of mechanical engineering and materials science, will work on the fabrication of radio-frequency identification (RFID) and vital sign monitoring sensors. The RFID sensor—which is wireless, inexpensive, and more portable than the equipment used for internal positioning in hospitals—will allow Dr. Cho to position the device inside the body without X-rays or ultrasound imaging. Dr. Clark, professor of mechanical engineering and materials science, will participate in the sensor development and take the lead on their integration and data analysis, while working with Dr. Cho to make sure the sensors can be identified and interpreted once inside the body. In October 2015, leading concussion clinicians and researchers gathered at UPMC in Pittsburgh for the “Targeted Evaluation and Active Management” (TEAM) symposium, an unprecedented meeting and white paper designed to propose and share nationally the participants’ agreement on the best practices, protocols, and active therapies for treating concussions. The conference discussions, led by chair Micky Collins, PhD, director of the UPMC Sports Medicine Concussion Program, along with co-directors Anthony Kontos, PhD, and McGowan Institute for Regenerative Medicine affiliated faculty member David Okonkwo, MD, PhD, of UPMC and the University of Pittsburgh, resulted in the Statement of Agreement publication. The 2-day meeting was fully funded by a grant from the NFL Foundation. “This conference was remarkable because it brought together a diverse group of leading experts in cutting-edge research and clinical treatment to approach this injury in ways that will help move concussion treatment forward,” said Dr. Kontos, research director for the UPMC Concussion Program, associate professor in the University of Pittsburgh Department of Orthopaedic Surgery. The U.S. Center for Disease Control (CDC) estimates that as many as 4 million concussions occur each year in the U.S., and sport- and recreation-related concussions in particular have increasing incidence. Symptoms, which can be subtle and last days or weeks, include but are not limited to headache, confusion, and nausea. Doctors typically advise patients to rest—both the brain and body—until symptoms abate, which might require accommodations at school or work. If the injury was sustained during sports, the patient is instructed not to return to play on the same day and to gradually increase aerobic, exertion-based activity while symptoms are carefully monitored. But, as described at the symposium and in the published Statement of Agreement, research is beginning to show active rehabilitation can help people recover more quickly and safely than simply resting. A 2015 Harris Poll of more than 2,000 U.S. adults found that 71 percent did not recognize that concussions are treatable. In the same report, 1 in 3 patients who had been diagnosed with a concussion reported receiving no prescribed treatment. The authors feel the Statement of Agreement is a step forward in the field and will lead to a collaborative era. “Over the past decade, many of us individually have accumulated quite a bit of experience about which treatments work for specific symptoms and deficits caused by concussion. We are looking forward to working together to rigorously test these treatments,” said David Brody, MD, PhD, co-author and professor of neurology, Washington University School of Medicine in St Louis. Cystic Fibrosis (CF) causes the accumulation of dehydrated mucus in the lungs which can lead to chronic infection, inflammation, and respiratory failure and drastically affects the lives of CF patients. These ever-changing complexities often make it difficult for doctors to decide which therapies will be most effective in treating the disease. To develop better evaluation methods, the National Institutes of Health (NIH) awarded a research team at the University of Pittsburgh’s schools of engineering and medicine a highly competitive $1.7 million U01 grant to develop new mathematical models of liquid and ion transport in the human lung. These models could allow doctors to rapidly personalize interventions for patients suffering from CF and other lung diseases and administer the most effective treatment by simply studying a cell culture from the patient’s nose. McGowan Institute for Regenerative Medicine affiliated faculty member Robert Parker, PhD, professor of chemical and petroleum engineering at the Swanson School of Engineering, and Timothy Corcoran, MD, associate professor of medicine, bioengineering and chemical engineering at the School of Medicine, in the Division of Pulmonary, Allergy and Critical Care, will lead the study as co-principal investigators. Three co-investigators will join the study: Carol Bertrand, PhD, from Pediatrics, and Joseph Pilewski, MD, and Michael Myerburg, MD, both from the Division of Pulmonary, Allergy and Critical Care Medicine. The researchers will begin by collecting data from patients with CF, biological parents of patients with CF who carry the CF mutation, and healthy controls. After sampling and culturing of human nasal epithelial (HNE) cells—under the direction of Dr. Myerburg—Dr. Corcoran will use aerosol-based nuclear imaging to measure mucus clearance and airway surface liquid dehydration in the lungs. Once the researchers have collected data from the patients’ HNE cell cultures and lung imagining, they will use advanced computational techniques to find the correlation between the nasal cell physiology and lung physiology. Dr. Parker will lead the group’s effort to translate the data collected from the test subjects into multi-scale mathematical models that provide cell- and organ-level visualizations of the patients’ physiology. Ultimately, the researchers hope to show that nasal cell sampling and interpretation of the data by the computer models can lead to a highly personalized approach to treating a patient with CF that could begin as early as birth. This would greatly enhance a patient’s quality of life, increase life expectancy, and limit progress of the disease. 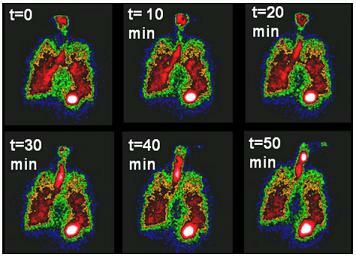 Illustration: Nuclear imaging shows mucus clearance from the lungs. These imaging techniques can be used along with systems models to help develop treatments for Cystic Fibrosis. 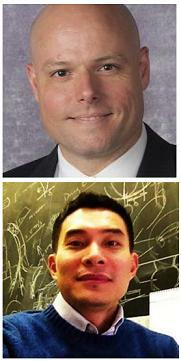 The Franklin Institute in Philadelphia announced that Krzysztof Matyjaszewski, PhD, the J.C. Warner Professor of Natural Sciences at Carnegie Mellon University (CMU) and a McGowan Institute for Regenerative Medicine affiliated faculty member, and Mitsuo Sawamoto, PhD, professor of polymer chemistry at the University of Kyoto, have won its 2017 Benjamin Franklin Medal in Chemistry. They will receive the award on May 4, 2017, during a ceremony at the Franklin Institute in Philadelphia. Dr. Matyjaszewski is best known for developing copper-mediated atom transfer radical polymerization (ATRP), a precise method for making macromolecules that has revolutionized the field of polymer synthesis. 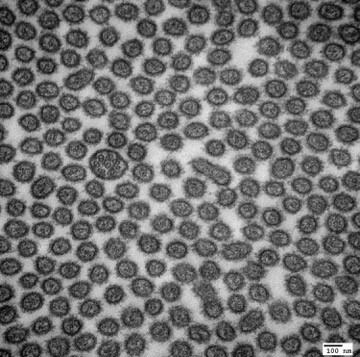 ATRP uses a specialized catalyst to start and stop the polymerization reaction, allowing researchers to construct polymers in a piece-by-piece fashion and precisely control their size, architecture, and function. Since first publishing his finding on ATRP in 1995, Dr. Matyjaszewski has worked to refine the process making it more efficient and environmentally friendly. His work has been cited more than 80,000 times, making him one of the most cited chemists in the world. Independently, Dr. Sawamoto developed a similar controlled radical polymerization process that used a different type of catalyst and activator. 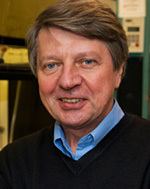 Dr. Matyjaszewski has won numerous other awards, including the 2015 Dreyfus Prize in the Chemical Sciences, the 2013 AkzoNobel North America Science Award, the 2011 Wolf Prize in Chemistry, and the 2009 Presidential Green Chemistry Challenge Award. He is a fellow of the National Academy of Inventors and the American Chemical Society and a member of the National Academy of Engineering. The Franklin Institute Awards have recognized and encouraged pre-eminent accomplishments in science and technology on an international level since the institute was founded in 1824. Past laureates include Thomas Edison, Marie Curie, Stephen Hawking, and Bill Gates. 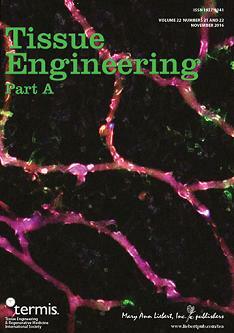 A research image by Emily Bayer – a trainee in the McGowan Institute for Regenerative Medicine Cellular Approaches to Tissue Engineering and Regeneration (CATER) Training Program – is the cover art of the recent Tissue Engineering Part A journal. Her paper entitled, “The Influence of Platelet-Derived Growth Factor and Bone Morphogenetic Protein Presentation on Tubule Organization by Human Umbilical Vascular Endothelial Cells and Human Mesenchymal Stem Cells in Coculture,” is co-authored with Morgan Fedorchak, PhD, and McGowan Institute for Regenerative Medicine faculty member Steven Little, PhD, Chairman of the Department of Chemical and Petroleum Engineering and William Kepler Whiteford Endowed Professor in the Departments of Chemical and Petroleum Engineering, Bioengineering, Immunology, and Ophthalmology. The cover art image is captioned: Immunofluorescent staining CD31 (red), α-SMA (green), and nuclei (blue) of a cross-section of three-dimensionally cocultured HUVECs and hMSCs showing tubule formation in response to sequential delivery of PDGF and BMP with 6 days of overlap in growth factor delivery. Illustration: Tissue Engineering Part A. 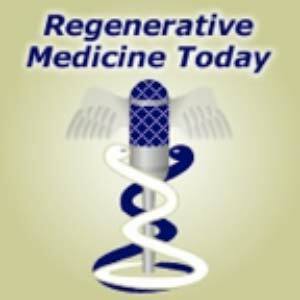 #166 –– Dr. Rocky Tuan is the Director of the Center for Cellular and Molecular Engineering, the Director of the Center for Military Medicine Research, and the Associate Director of the McGowan Institute for Regenerative Medicine. He is also a Professor in the Departments of Bioengineering and Mechanical Engineering & Materials Science at the University of Pittsburgh. Dr. Tuan discusses his research in orthopaedic research. Transmission Electron Micrograph of a primary cilium within a sea of microvilli. Mouse Kidney Proximal Tubule. Summary: Heart attack is a global health problem that leads to significant morbidity, mortality, and health care burden. Adult human hearts have very limited regenerative capability after injury. However, evolutionarily primitive species generally have higher regenerative capacity than mammals. The extracellular matrix (ECM) may contribute to this difference. Mammalian cardiac ECM may not be optimally inductive for cardiac regeneration because of the fibrotic, instead of regenerative, responses in injured adult mammalian hearts. Given the high regenerative capacity of adult zebrafish hearts, we hypothesize that decellularized zebrafish cardiac ECM (zECM) made from normal or healing hearts can induce mammalian heart regeneration. Using zebrafish and mice as representative species of lower vertebrates and mammals, we show that a single administration of zECM, particularly the healing variety, enables cardiac functional recovery and regeneration of adult mouse heart tissues after acute myocardial infarction. zECM-treated groups exhibit proliferation of the remaining cardiomyocytes and multiple cardiac precursor cell populations and reactivation of ErbB2 expression in cardiomyocytes. Furthermore, zECM exhibits pro-proliferative and chemotactic effects on human cardiac precursor cell populations in vitro. These contribute to the structural preservation and correlate with significantly higher cardiac contractile function, notably less left ventricular dilatation, and substantially more elastic myocardium in zECM-treated hearts than control animals treated with saline or decellularized adult mouse cardiac ECM. Inhibition of ErbB2 activity abrogates beneficial effects of zECM administration, indicating the possible involvement of ErbB2 signaling in zECM-mediated regeneration. This study departs from conventional focuses on mammalian ECM and introduces a new approach for cardiac tissue regeneration. Source: Science Advances. 18 Nov 2016: Vol. 2, no. 11, e1600844.